After wrapping up nearly two and a half years of continuous activity in support of their latest album, .5: The Gray Chapter, Slipknot concluded their worldwide touring stint with Knotfest Japan at the beginning of November. But with all endings come new beginnings, and Slipknot isn’t taking a very long break before they start prepping themselves for the future. 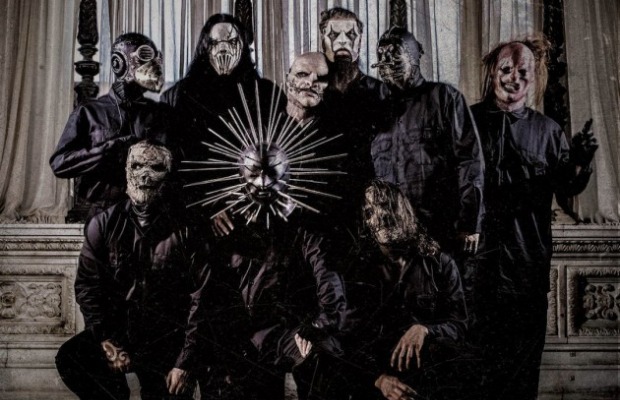 In a brand-new interview with Rolling Stone, percussionist Shawn “Clown” Crahan asserted that he would not be taking much time off from writing—“because we want to write,” he says. He and guitarist Jim Root have a plan to meet in February to begin composing new material, but the date will remain tentative for now. Crahan has already been extra busy directing his first feature-length film, Officer Downe, which is based on a gore-filled graphic novel. The movie stars Sons of Anarchy’s Kim Coates, who plays a police officer that rises from the dead. “I had to basically do a movie that should've been shot in three months, and I did it in four weeks,” Crahan says. “It was a lot of pressure. I had to deal with wardrobe. I had to deal with acting. I had to deal with stunts and pyro. It was the hardest work I've ever done,” he told Rolling Stone. And he’s not the only busy one. Corey Taylor just released his new book, America 51: A Probe Into The Realities That Are Hiding Inside The Greatest Country In The World, and he’ll be busy with Stone Sour material for the foreseeable future. Although this means that a new Slipknot record probably won’t find its way into our hands for a few years, it’s pretty cool to know that one of the biggest bands around the world never stops working hard for their fans.